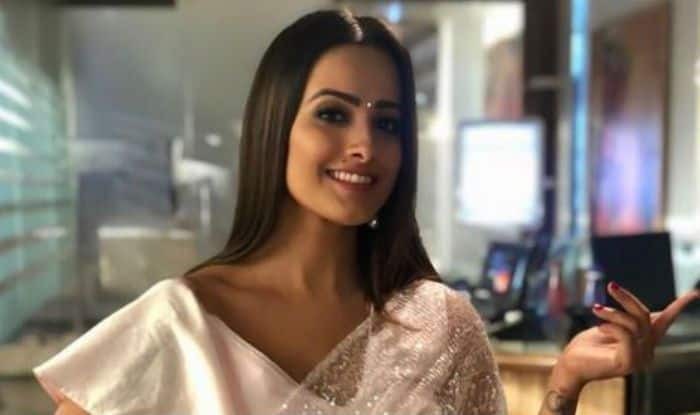 Television actress Anita Hassanandani, who is currently being featured on Naagin 3 as Vishaka and Yeh Hai Mohabattein as Shagun, took to Instagram to share her look of the day in her Shagun avatar. In the picture, she is seen wearing a sheer shimmery baby pink saree. She accessorised her look with a pair of earrings, bindi and hair kept straight and open. Her wide smile and pose game makes her look gorgeous, as ever. The picture is taking the internet by storm and has fetched over 40,000 likes in just an hour. Earlier, she has been into buzz for hinting that she might be pregnant with twins which left her fans amazed. Not only this, but she has also shared her picture flaunted her baby bump which was fake. Dressed in a sheer green saree, she has accessorised her look with subtle makeup, a pair of earrings, bindi and cute expressions. She also wonders that if she does this with her fake baby belly then what will she do with the real one. She also asks her hubby Rohit Reddy to up his photography skills which also hints that she will be giving us good news very soon.